I first watched this anime during winter 2 years ago and now it’s a rewatch must every winter. It’s the cutest little anime about Yuri, a professional figure skater with self-confidence issues. He’s about to give up figure skating when a video of him skating his idol’s routine inspires that same idol to become Yuri’s coach. It’s funny, cute, romantic and will have you wanting to go ice skating yourself. The Good Place is about a woman who finds out there is a Good Place and a Bad Place after death. Luckily she ended up in the Good Place. Except… they made a mistake and she really shouldn’t be there. Hilarious shenanigans ensue. This is a super funny series with only 3 short seasons, so perfect for your winter binge-watching! Trust me, you need the amazing Sherlock-Watson bromance in your life. Though the episodes are rather long, each season only has 3-4 episodes so you could easily binge this! This Chinese drama is available on Netflix and I highly suggest you to give it a try if you’re looking for some seriously addictive romantic drama. Though there are quite a few episodes, this series about a girl getting into her dream college and befriending the 4 most popular and rich boys at school, is so addictive you’ll fly through in no time! If you like your humor with a lot of darkness in it, The End of the Fxxxing World is your thing! In this, two teens go on a roadtrip together, except one of them thinks they’re a psychopath and is planning to kill the other. It is addictive, funny and the eight 25-minute episodes are over before you know it. I always suggest Kdramas if you’re looking for a short, highly addictive, binge-worthy story and While You Were Sleeping was one of my favorites of the year. And look at those visuals, perfect for winter right? In this story, a woman who dreams about the future meets a man with the same weird dreams and they end up working together. Queer Eye is more than just a make-over show. It’s so good and pure, it’ll make over your soul. But seriously, this show is soo good and made me so happy just watching it. How about some Jdrama this winter? I have watched both seasons of Good Morning Call during winter, so it’s linked in my mind. It’s fluffy, adorable goodness about a girl who accidentally becomes roommates with the most popular guy in school. Who says Halloween can’t last throughout the winter? I loved this dark Sabrina retelling and highly recommend it if you want the spooky Halloween atmosphere to last just a little longer. Just look at that cast! I mean, this mini-series is already based on an amazing book, but with that cast you have a masterpiece. A murder mystery set around kindergarten mums will definitely keep you hooked thoughout the winter months! Have you watched any of these? If yes, feel free to fangirl with me! Do you have any more recs for short, addictive, binge-worthy winter watches? Still love “Sherlock” and in fact I have re-watched the series more than one. However I also enjoy the CBS show, “Elementary,” so at least I still have this version of Holmes and Watson. Happy Top Ten Tuesday, Lindsey. Rissi recently posted…Top Ten Tuesday | Warm and Festive Seasonal Books! Oh, I’ve been meaning to try Elementary, so I’m happy to hear you love it! Ooh I like this topic! Big Little Lies was great and I haven’t seen The Good Place yet, but heard it was good! I loved Meteor Garden! And I’ve wanted to watch Yuri On Ice for ages, but I don’t know where I can watch it. Also, Big Little Lies has been on my to-read list since its announcement… It’s been a while since the release and I still haven’t watched it. HAHA, help me. Meteor Garden was such an addictive show! I watched Yuri On Ice on Crunchyroll https://www.crunchyroll.com/yuri-on-ice There are some ads, but they didn’t bother me that much. omg the good place and end of the f***ing world are THE best. i was so not prepared for how invested i got with EotFW, that last episode 💔 i also can’t wait for new the good place episodes!!! i love queer eye so much too and can’t wait for season 3. i watched the first episode of sabrina and really enjoyed it so i definitely need to continue with that!! YESS it’s crazy how invested I got in The End of the F***ing World in just 8 short episodes. I want more, but also not because it might ruin the awesomeness. Queer Eye season 3 will definitely be binged as soon as it’s available, haha 🙂 And hope you’ll enjoy the rest of Sabrina! I’m planning to watch Yuri on Ice soon and I’m so excited!!!! I’ve been watching a lot of good Anime recently and it’s making my heart happy!! I now have a list of fluffy dramas that I need to watch… I haven’t really watched any before other than YG Future Strategy Office (the one with Seungri from Big Bang in it) and it was hilarious! It’s on Netflix if you want to watch it! Oh, I adore the Good Place! The Good Place is soo good! Love this twist on the topic!! The Good Place is one of my all-time favorite comedy shows ever. It’s so perfect. I really need to binge watch quite a few on your list!!! The Good Place is soo good, glad to hear you love it too! Great choices! Meteor Garden is a drama I’ve been meaning to start. Isn’t it basically the same premise as Boys Over Flowers? Also yasss While You Were Sleeping (watching now and loving it) and Good Morning Call! I don’t watch much anime but Yuri On Ice is one I’ve heard SO much about. Sherlock is such a great choice too (especially the special they did). Do you mind if I do a similar post to this? Yeah, Meteor Garden is pretty much the same as Boys Over Flowers – I watched BoF not too long ago, and so Meteor Garden got really repetitive after a while since I already knew all the storylines, but I still enjoyed it anyway 🙂 Couldn’t pick a favorite really, so that’s a good sign right? 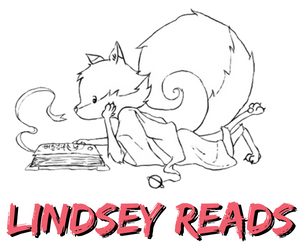 Tiffany @ String of Pages recently posted…Check Out These Wintery Reads! Hope you’ll enjoy Sabrina and good luck with finals! The Good Place is SOO GOOD! I finally got caught up on the current season last week. I also really enjoyed Big Little Lies, I think they did a pretty faithful adaptation of the novel. I’m so bad with keeping up with shows, and binge watching in general, but I DO really want to watch Yuri on Ice, Sabrina, THE END OF THE FXXXING WORLD, and Big Little Lies. Glad you would recommend!! Great list! Sherlock is the best! Love The Good Place, The End of the F***ng World and Big Little Lies! Still need to finish Meteor Garden but I did watch the Korean version as well this year. I will check out Goodmorning Call and While You Were Sleeping! Thanks for the recommendations! Have a wonderful week! Big Little Lies and Chilling Adventures of Sabrina? COUNT ME IN. Ohhh, and Sherlock! Okay, you totally win with this post. So many good shows! Thanks, glad you love so many of these shows as well! Also, Sherlock is a fave of mine. The first season is the best. So good! Great list! I completely agree about Big Little Lies and The Good Place. Love them both and they’re very bingeworthy. I STILL have to watch season 4 of Sherlock. I know! Great list. The bright side is you still have an entire season of Sherlock to look forward to! 😉 I’m looking forward to a re-watch soon.